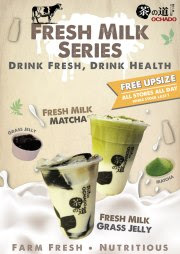 Free Upsize to your favorite Fresh Milk series. any of Fresh Milk Series. 2. The complimentary upsize is ONLY valid for Fresh Milk Series.